The present blog addresses mass killings by Einsatzkommando 3 at Vilna (Vilnius) and Kaunas and isolated instances of Jewish resistance. Like in the previous blogs of this series, the information presented in this blog is mostly based on German historian Wolfram Wette’s biography of Karl Jäger (Wolfram Wette, Karl Jäger. Mörder der litauischen Juden, S. Fischer Verlag, Frankfurt am Main 2011, hereinafter "Wette, Jäger"). Unlike the executions in the smaller towns and villages of Lithuania, which required muchorganizational effort, the shootings in the Forts of Kaunas were easy to carry out, as were the mass executions in the forest at Paneriai near Vilnius, the other large murder site in Lithuania, which since August were carried out by an outpost of Einsatzkommando 3 commanded by SS-officers Peter Eisenbarth and Erich Wolff. Einsatzkommando 9 had already done some of the killing before EK 3 took over. Eisenbarth and Wolff were part of a six man group of young SS leaders from the Security Service’s school in Berlin-Charlottenburg. They carried out their extermination tasks with great organizational talent and efficiency. In Vilna and at the Paneriai (Ponary) killing site they operated more or less independently within the framework of Jäger’s general guidelines. It is not known whether and how often Jäger was present at Paneriai. Two witnesses, Hans Greule and Fritz Hamann, claimed in 1959 that they had recognized Karl Jäger on a photo while he was giving an elder Jew the finishing shot at the Paneriai killing site (Wette, Jäger, page 107). The operations in Kauen itself, where reasonably sufficient trained partisans were available, can be considered as parade shootings compared to the often enormous difficulties that had to be dealt with outside. "The people went to the slaughter like a herd of sheep, in complete apathy. Nobody uttered even the slightest protest, and until the last minute they clung to the treacherous hope that somehow they would remain alive, that a miracle would happen and they would be spared death." "Is is true, we are weak and helpless, but the only answer to the enemy is: resistance! Brothers! Better to die as free fighters than to live at the murderers’ mercy. Offer resistance! Resistance to the last breath." The village of Jubarkas (Georgenburg in German) had already been visited by a German mobile killing squad (Einsatzkommando 1 of Einsatzgruppe A) on 3 July 1941. On that occasion, 322 men and women had been shot. 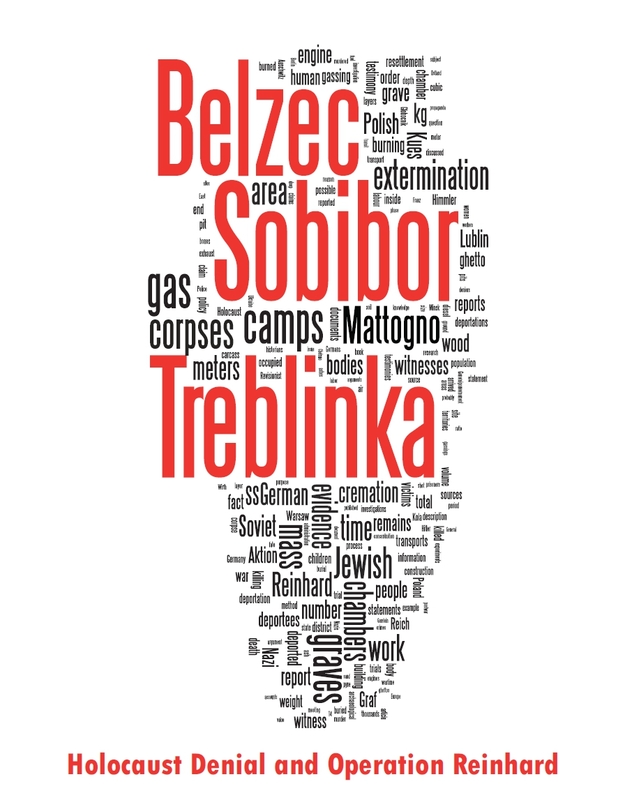 This massacre, which is mentioned in the blog Belzec Mass Graves and Archaeology - Continuation (1), became widely known due to the Ulm Einsatzgruppen Trial in 1958 (mentioned in the blog Jürgen Graf on Criminal Justice and Nazi Crimes). Jubarkas was home to the couple Moshe and Dora Krelitz and their daughter Esther. Moshe was the leader of the Zionist youth movement and organized training camps for a new beginning in a Jewish state. The entire family was shot on 6 September 1941 (Wette, Jäger, p. 111, citing the Stiftung Denkmal für die ermordeten Juden Europas). "Special activity was shown by the Jews in Zagare. There, on 2.10.1941, 50 Jews escaped from the already sealed ghetto. Most of them could be immediately captured and shot in the course of a large-scale scale search operation immediately carried out. At the execution of all Zagare Jews prepared thereupon, while the Jews were being taken away, the Jews upon an agreed sign attacked the guards and the members of the security police mobile detachment. Some of the Jews, who had not been searched thoroughly enough by the Lithuanian auxiliaries, pulled knives and pistols and with shouts like >long live Stalin< and >down with Hitler< jumped the police units employed, of whom 7 were wounded. After 150 Jews had been immediately shot, the transport of the remaining Jews to the execution site proceeded smoothly (reibungslos). "Smoothness" such as mentioned in this report characterized the mass killings at Paneriai (Ponary), the largest Nazi killing site in Lithuania. 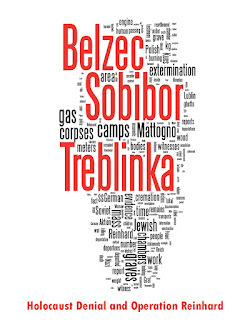 Not only Jews, but also large numbers of non-Jews, mainly Poles and Soviet prisoners of war, were murdered here in the years 1941 to 1944. A brochure about Ponary in Lithuanian, Polish and English mentions 59,000 to 70,000 Jews, 2,000 to 20,000 Poles, and an unspecified number of Gypsies, Tatars, Belarusians, Soviet prisoners of war, Lithuanian communists, officers and soldiers of a Lithuanian resistance army. This brochure contains much information about the killing site, including the perpetrators, the killing methods, the victims, the wartime efforts of the Polish underground to document the killings at Ponary, the Nazis' attempts to erase the traces of their crimes as well the history of the site following the Soviet re-occupation of Vilnius. The testimonies cited in the brochure are from victims or local bystanders, including an excerpt from the Ponary Diary of Polish journalist Kazimierz Sakowicz. An archived page about Ponary Forest contains three accounts by German eyewitnesses, transcribed from Ernst Klee et el, The Good Old Days. Memorials on the site are dedicated to various groups of victims – 2,948 murdered Soviet prisoners of war, 7,514 Soviet prisoners of war who died of disease and hunger in 1941, soldiers of the Armija Krajowa and other Polish citizens, Jews and non-Jewish Lithuanians. The online Chronicles of the Vilna Ghetto include a photo gallery with images taken at Ponary during and after the Nazi occupation as well as present-day images of the site. 1. Broken links to photos from the Yad Vashem archives captioned as pertaining to Ponary were removed. 2. Regarding the Ponary mass graves and photos on the sites of the The Ghetto Fighters' House and Yad Vashem, reference is made to the series "Mattogno on the Mass Graves at Ponary" (Part 1,Part 2, Part 3, Part 4). 3. Regarding the number of people killed at Ponary, reference is made to the article How many people were killed at Ponary?. Update, 24.04.2018: Other broken links were repaired or replaced.